Harley Quinn takes center stage in the new volume of the DC Super Hero Girls graphic novel series, DC SUPER HERO GIRLS: OUT OF THE BOTTLE! For an assignment in Ms. June Moone's art class, the girls are working on their very own comic books. The character-created comics pages give us a glimpse into each girl's personality. 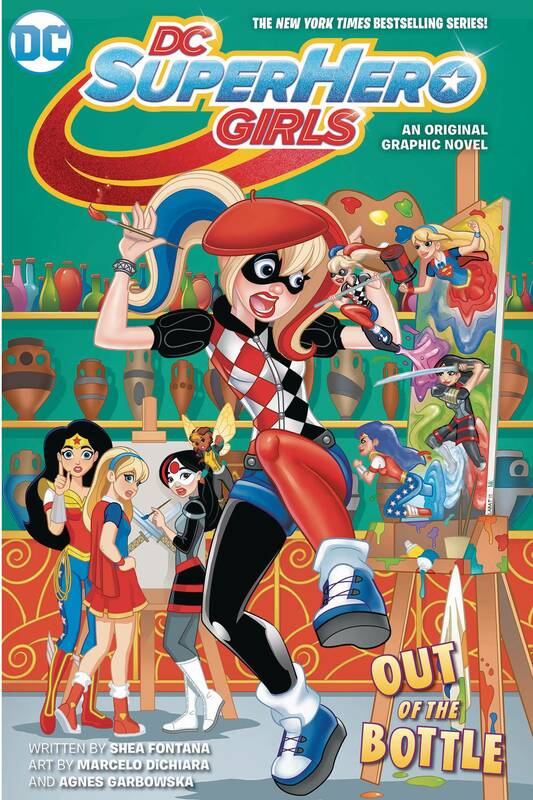 But Harley isn't satisfied with her comics creation and thinks a little of Ms. Moone's special paint will really help her drawings come to life! The problem? Harley's drawings literally come to life!.